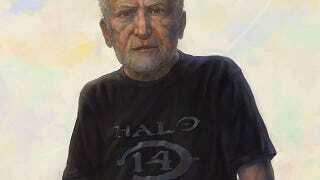 Age Shall Weary Them | Wonder if Master Chief will be dual-wielding walking sticks by then. By Lobzov Nikolay. Controller Company Berates Customers, Then Penny Arcade. Bring Popcorn. Reader Dave has sent us a rather interesting conversation he's had over the past few weeks he's had with Paul Christoforo, a PR rep from Ocean Marketing, representing the makers of the Avenger controller accessory.